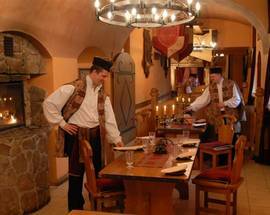 This warm, jovial restaurant offers medieval feasting fare inside the setting of a Polish nobleman's house, hung with where the timber walls are covered with muskets, antlers and suits of armour, and the plates are piled high with meat. A good choice for groups and families looking for a fully immersive Polish food experience, the flair of the service, quality of the food and fondness of the folk musicians playing full force in the evenings create a fun atmosphere that's completely worth being in. Or drop by from 12:00 - 16:00 to take advantage of their daily lunch offer - a three-course meal of soup, entree and dessert, plus kompot (chilled fruit tea) for 28zł. I have eaten here on three occasions now. The food, service,and the atmosphere has always been excellent. The steak we had last time was melt in your mouth and the duck is delicious too. My brother still talks about the mushroom soup served inside the bread roll as well. 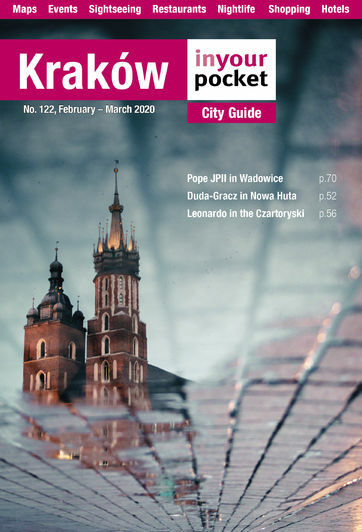 If you would like to go I would definately recommend booking because unfortunately we were unable to book a table on one occasion so I now email and book in advance when we know we are going to be in Krakow!